35-40 days for bulk production time. 100% inspect before shipment. . The third party inspection center. Shenzhen Hengsheng Industrial Co., Ltd.
And it would be great if you can inform us in advance. 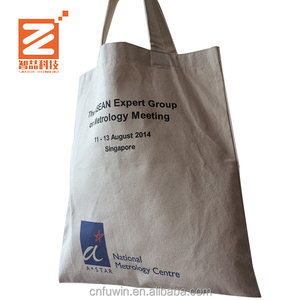 We offer the service of adding customers&rsquo; logo on the bags, etc. 2)Call Customer Service at 86- 20 86337861 for Customer Service support and questions. 2) Bulk order lead time: Around 45-60 days after sample and order details confirmed. What is your Shipment Term9 1) By SEA, AIR, or Express couriers directly, LCL shipment or FCL shipment. Remark Your inquiries will be replied in 24 hours with our professional suggestions. We have a professional sales team, that can provide you the competitive prices in 24 hours after receiving your requests. Unbeatable Prices We continuously strive to find ways of reducing our production costs, and passing the savings Over to you! d). Special Offers In order to maintain our competitive edge, we are constantly running special offers on our promotion bags. 3. Can I get a free sample9 Yes, we can offer you one free sample, but you need to pay shipping cost. If we have the samples in stock, we will provide you for free, please give us your Express A/C No. b. Please contact us, and we will send you our catalogue. Question:If we will take the quantity which is less than our MOQ9 Answer : Yes, we can do it ,if we have enough stock yearning for your order . 5.Question :How to pay the cost of samples9 Answer : You can use Western Union , T/T, Paypal &hellip;.etc. Any questions about Wholesale Customized Hottest Fashion Linen Blank Tweed Handbag , feel free to contact us. 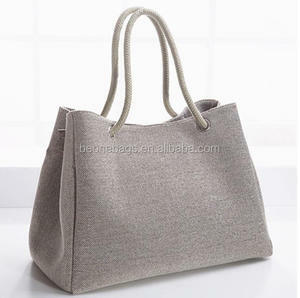 Alibaba.com offers 9,458 linen handbag products. About 41% of these are handbags, 3% are shopping bags, and 1% are promotional bags. 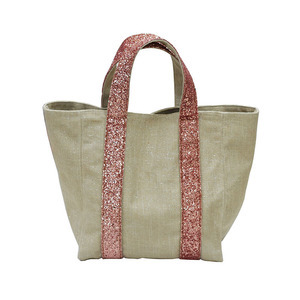 A wide variety of linen handbag options are available to you, such as cotton fabric, fabric, and canvas. You can also choose from women, unisex, and men. As well as from free samples, paid samples. 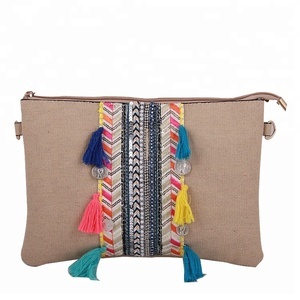 There are 9,374 linen handbag suppliers, mainly located in Asia. The top supplying countries are China (Mainland), Vietnam, and India, which supply 94%, 2%, and 1% of linen handbag respectively. 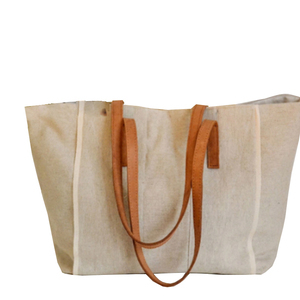 Linen handbag products are most popular in North America, Domestic Market, and Western Europe. You can ensure product safety by selecting from certified suppliers, including 1,214 with Other, 1,081 with ISO9001, and 562 with BSCI certification.